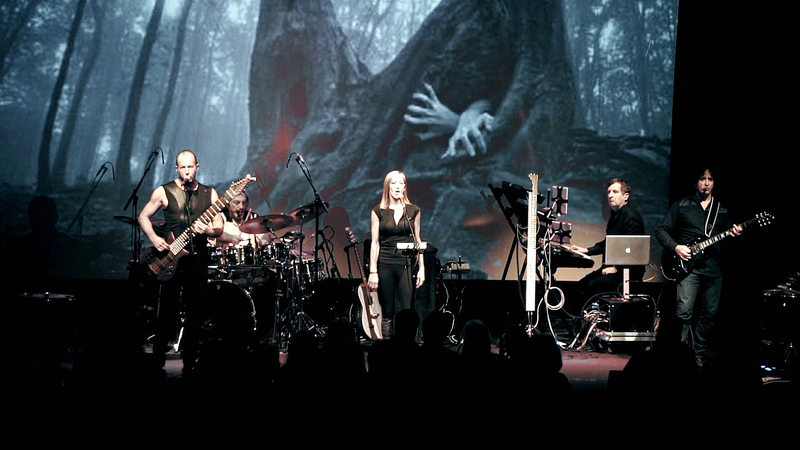 This November make CONTACT with the Security Project performing the music of Peter Gabriel plus Genesis & Kate Bush . Featuring Jerry Marotta, King Crimson alumni Trey Gunn, Michael Cozzi from Shriekback, Gig Performer co-founder David Jameson and on vocals Happy Rhodes. ​Preorder the new album, CONTACT, available November 1st. ​“Expect the Unexpected” from the Security Project as they bring the timeless masterpieces of Peter Gabriel into the 21st Century. Featuring Jerry Marotta, the drummer from Gabriel’s classic line-up (1977-1986), plus Trey Gunn from King Crimson, on a 10-string touch guitar. The recent addition of Happy Rhodes, with her 4-octave vocal range, fulfills the band’s promise of re-envisioning the music of Peter Gabriel. Rounding out the band from Shriekback and Sky Cries Mary is Michael Cozzi on guitar and co-founder of Gig Performer and computer scientist David Jameson on keyboards and Eigenharp. The band’s latest album CONTACT is their first full length live album to feature Happy on vocals. In addition to 10 songs from the classic Peter Gabriel era, CONTACT also includes a stirring cover of Kate Bush’s “Mother Stands For Comfort” showcasing Happy’s vocal talents.